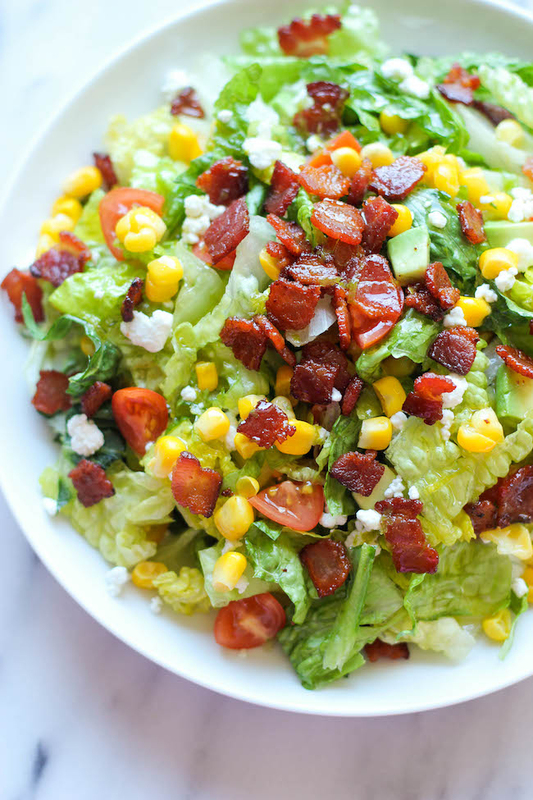 15 Chopped Salad Recipes. Looking for a healthy dinner or lunch option? 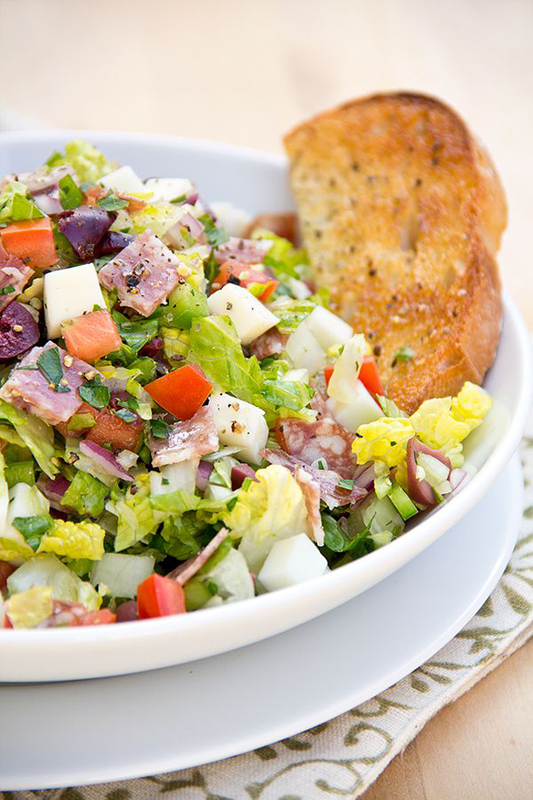 Chopped salad is your answer. Don’t miss the barbecue chicken version – or my favorite – mediterranean chicken with pepper and feta dill dressing. Yum. 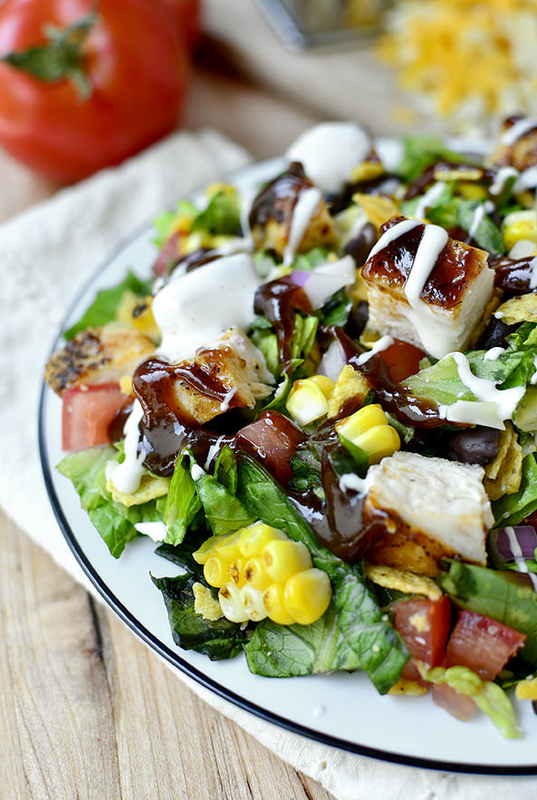 BBQ Chicken Chopped Salad – BBQ Chicken Chopped Salad | with tomato, grilled corn, crushed tortilla chips, and Monterey Jack cheese. 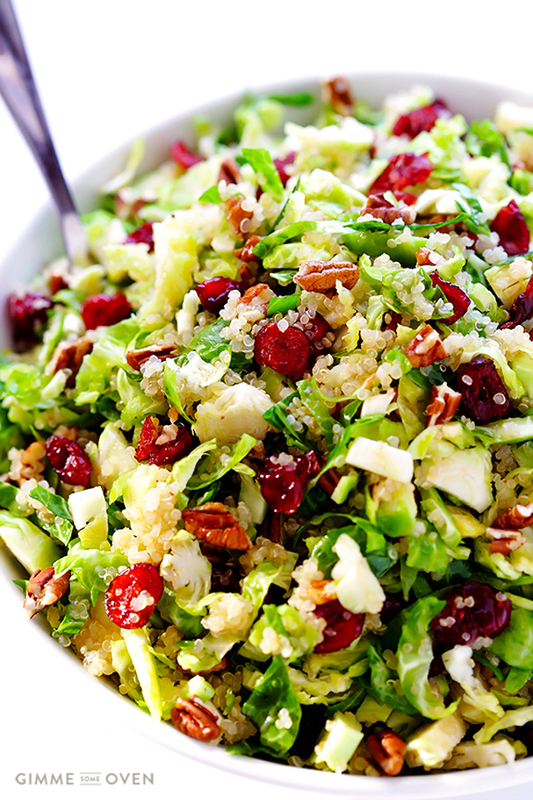 Brussels Sprouts, Cranberry and Quinoa Salad – This Brussels Sprouts, Cranberry and Quinoa Salad is delicious, easy to make, healthy, and naturally vegan and gluten-free! 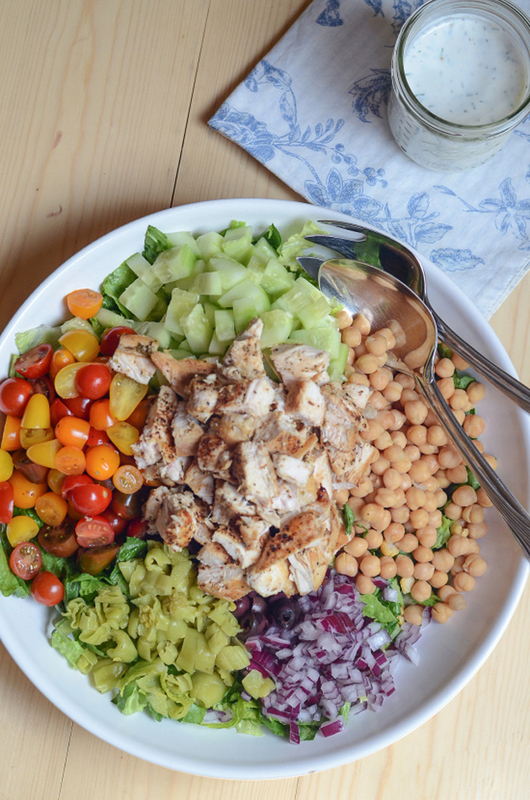 Mediterranean Chicken Chopped Salad with Creamy Feta Dill Dressing – A delicious chopped salad with an incredible creamy dressing! 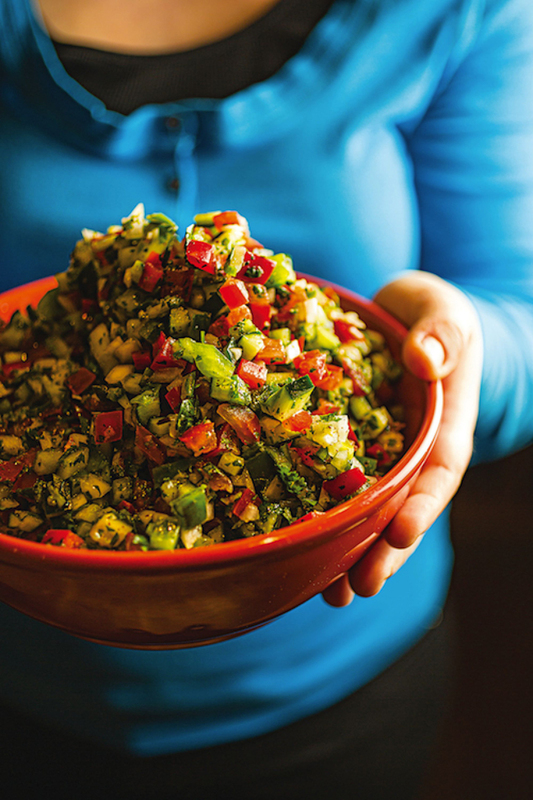 Israeli Chopped Salad – Israeli Salad Recipe…a refreshing summer salad. Vegan, Gluten free. 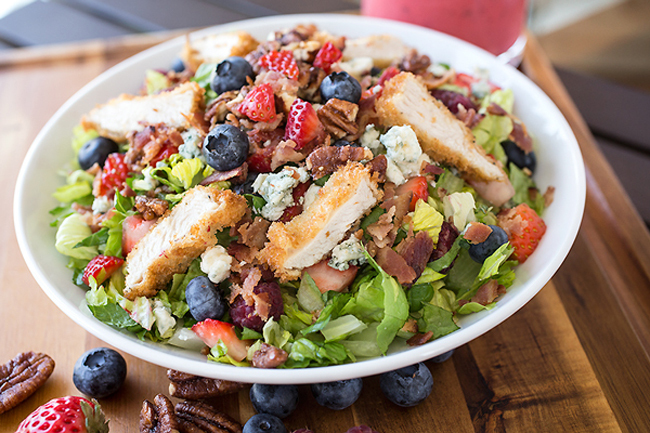 Summer Berry & Crispy Chicken Chopped Salad – Summer Berry Crispy Chicken Chopped Salad…with pecans, bacon, bleu cheese and Sweet Red Berry Vinaigrette. 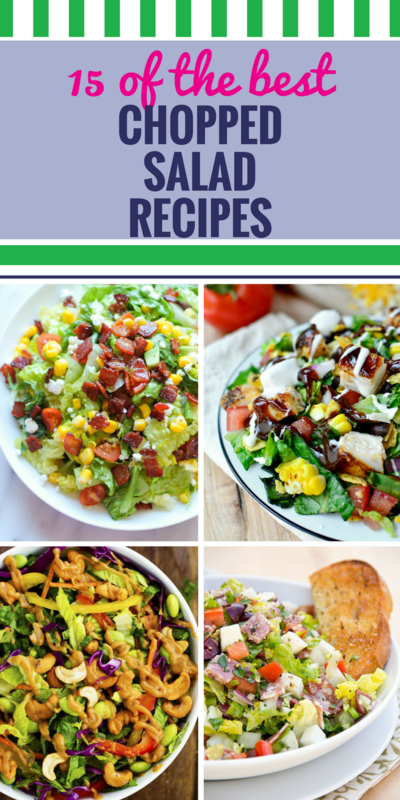 BLT Chopped Salad – BLT Chopped Salad – All the goodness of a BLT in a healthy, salad form with a refreshing lime vinaigrette! 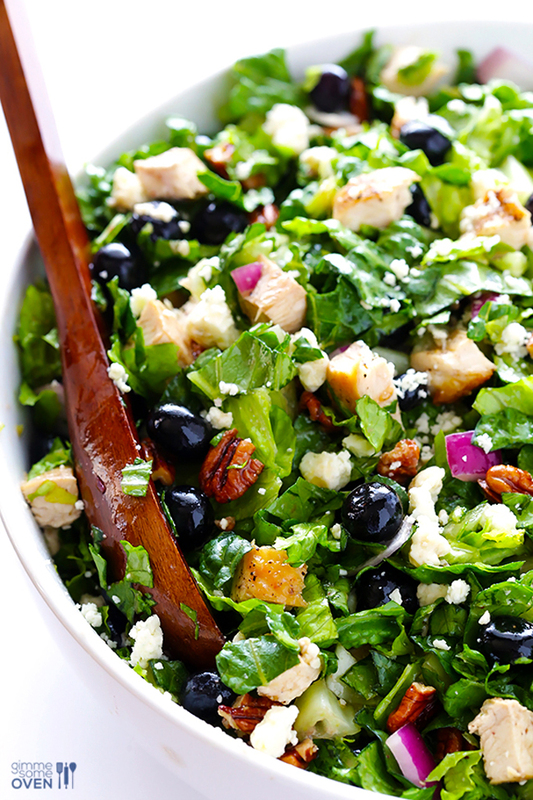 Blueberry Chicken Chopped Salad – Blueberry Chicken Chopped Salad — fresh, simple, and SO tasty! 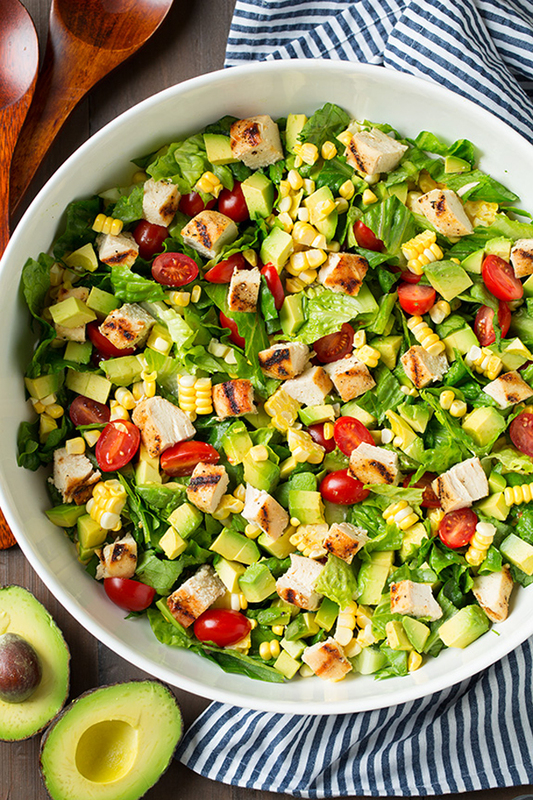 Avocado and Grilled Chicken Chopped Salad with Skinny Chipotle-Lime Ranch – I could eat this salad every single day! It was SO good! Used the leftover ranch to dip chicken tenders in. 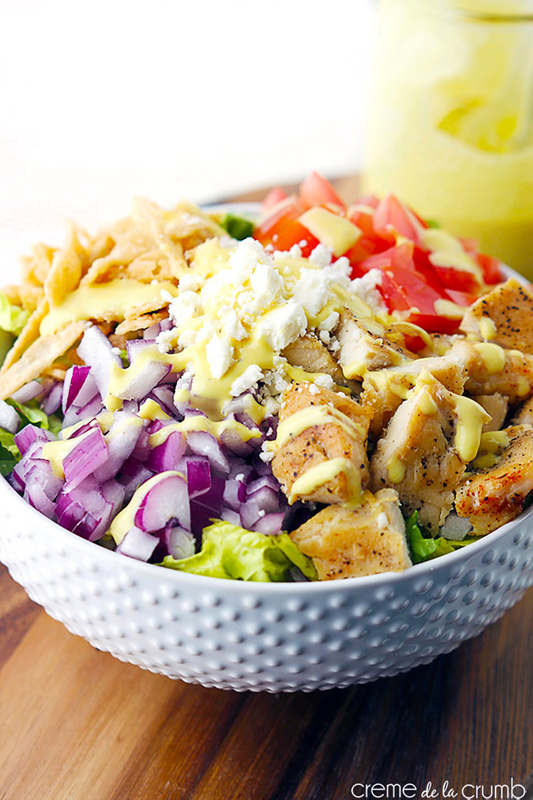 Honey Mustard Chicken Chopped Salad – A quick and delicious chopped salad with seasoned chicken, feta cheese, crispy wonton strips and topped with a (secretly skinny) creamy honey mustard dressing. 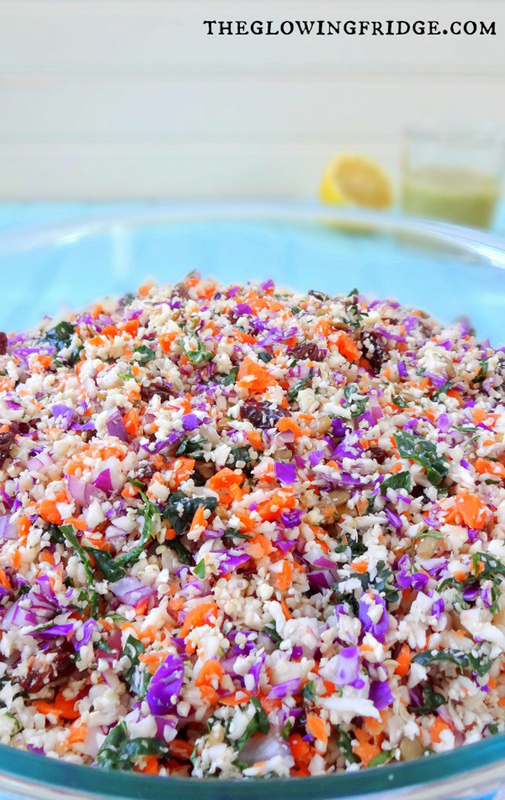 Thai Cashew Chopped Salad with Ginger Peanut Sauce – This Thai Cashew Chopped Salad is full of amazing colors and flavors!! 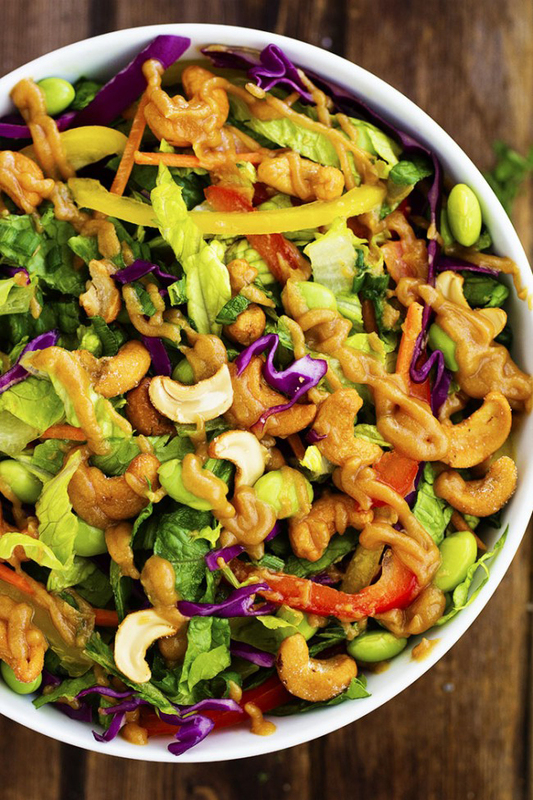 The cashews give it an amazing crunch and the ginger peanut sauce is incredible! 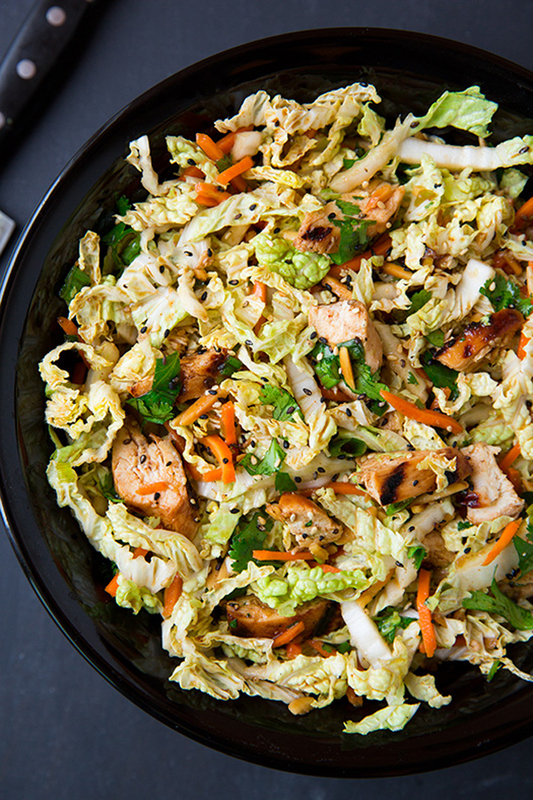 Grilled Ginger-Sesame Chicken Chopped Salad – Grilled Ginger Sesame Chopped Chicken Salad – you will LOVE this salad! It’s amazingly good! 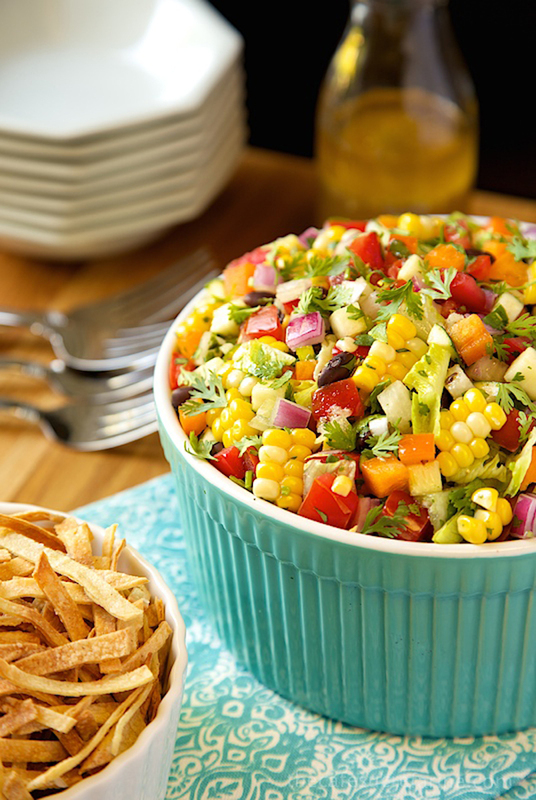 Mexican Chopped Salad – Mexican Chopped Salad. 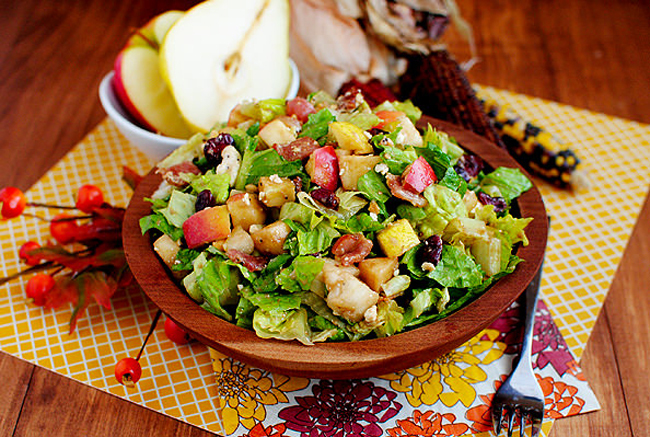 The freshest, healthiest, most summery salad with lots of Southwestern flair!